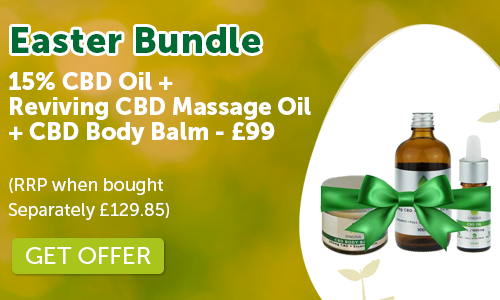 View basket “15% CBD Oil – 15% / 1500mg CBD Hemp Oil 10ml” has been added to your basket. 3% / 300mg/10ml of Phytocannabinoid Rich CBD Hemp Oil. Full Spectrum, Zero THC, Organic, Non-GMO, Pesticide Free. Category: Oil. Tag: 10% CBD Oil. 10ml of 300mg / 3% CBD Oil. Contains simply CBD Oil & Hemp Seed Oil. Our Organic Starter CBD Oil contains the Full Spectrum of Cannabinoids and Terpenes recommended for health and wellness and it is also Non – GMO & Pesticide Free. In addition our Oil has absolutely no detectable levels of THC. THC Free Phytocannabinoid Rich Hemp Oil, Hemp Seed Oil. Each drop contains 1.5 mg CBD Oil and 10ml Bottle contains 200 drops. For a more higher strength oil try our 10% CBD Oil.